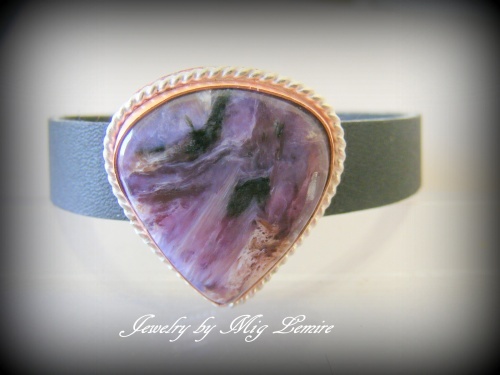 This gorgeous black leather bracelet has a gorgeous purple Charoite gemstone as a focal which has a mixed metal frame. The bezel is copper and the twisted metal around the stone is sterling silver. The clasp is a hole punched snap through clasp. Fits wrists 7".